Are you thinking of moving out, yet the thought of packing, transporting and even arranging your stuff seems so overwhelming? The biggest mistake you can ever make is to put your moving plans in the hands of amateurs. Well, they may offer to help you, but is it really worth the risk? First, they are not reliable when it comes to keeping their word, and you can also not trust them to handle your valuable items with the care that you need. The best option is for you to hire a professionals who are well trained and equipped to move families and individuals. 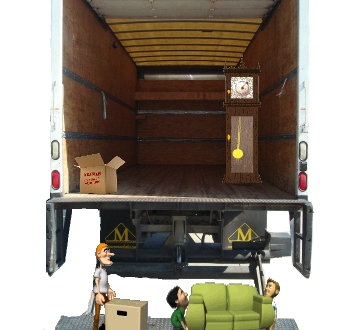 Our company specializes in ensuring that we make your moving experience great. Once you give us directions, we will make sure that we put every box and furniture at the exact point that you want it to be. You have to admit that the knowledge that someone is handling your personal belonging with extra care not only gives you peace of mind, but it also relieves the stress associated with moving. We take every moving work seriously. Whether it moving from one location in city to another, or it is within one state, we give it the same consideration we would give someone who is making a move across the country. In short, every move is handled with extra care and precision. Our staff members work hand in hand with you so that everything goes as smoothly as you would want. If you use our services, your belongings can be delivered to you either the same day or the next day, depending on the truckload’s size. If you are not able to receive your goods immediately, they can be stored for you in our secure facility for you to pick at your convenience. We understand that most people, especially those doing local moves are very busy and they want to settle as soon as possible, and that is why we try our best to deliver your goods immediately. The house you are moving into doesn’t matter. Whether it is a simple one bedroom apartment or a bigger complex home, we know how hard it can be when you try to moving on your own. You have to make long lists of what you need to pack, not to mention the trouble that comes with finding the right way to transport your belongings. When you use Houston Best movers as your local movers in the Woodlands, all you need to do is to make a phone call, and we will handle everything else for you. Our staff is made up of people who are passionate about moving, and have been in the moving field for a serious number of years, so they have the needed experience. We are always ready to help whenever you need us. So, think about your moving needs. Whether you are downsizing, or moving to an upper scale we are always willing to help. You could be moving just a few blocks away. or even to a far flung city, Houston Best Movers will ensure that you do it stress free. Since we are located in Mid Houston, it makes it convenient for us to handle the needs of people in the whole Southwest Texas area. Try us and see how much we remove the hassle from your moving. You will also be surprised to know that it will cost you a lot less than you had imagined. If you want to schedule an appointment or discuss details concerning your move, then don’t hesitate to call us.